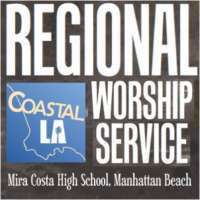 Gathering of all the disciples across the Coastal L.A. region to worship God and fellowship. Includes South Bay, Greater Long Beach, West Side, and the Latino Ministries. God speaks to us in many different ways. He speaks to all humanity (Logos) with the path that he wants us to take. He also speaks to each of us individually (Remah) with specific paths that he has set out for each of us. We must listen to both and respond accordingly. He wants nothing but the best for us, but must obey all forms of his word. During this time of the year can bring up many difficult situations. We can feel overwhelmed and 'Walled-in" to our issues. It can even feel like God is ignoring us when everything seems to be coming at us all at once. We need to hold fast to our Savior and trust that he will bring us out of everything and see us through to clearer times. The book of Daniel was really a history of the future. His interpretation of the King's dream prophesied the coming of several mighty kingdoms. God used him to tell the future for the next thousand years. We have many "moments" throughout each day. God can use any one of these moments for many different reasons. So often, we need to look at things through God's perspective to see how he will choose to use that moment. Accepting that, we can see the true purpose of how God wants to truly use that moment.